In 2008 the capitalist world was swept by the severest crisis since the Great Depression of the 1930s. Mainstream economics neither anticipated nor could account for this disastrous financial crisis, which required massive state intervention throughout the capitalist world. Karl Marx did anticipate this type of financial collapse, arguing that it was derivative from the `fetishism of commodities' inherent in the capitalist mode of production. 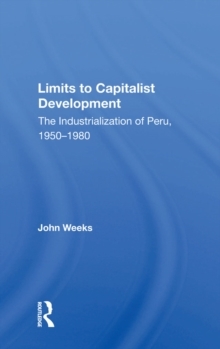 This book substantiates the foregoing claim by a journey from Marx's analysis of commodities to the capitalist crisis of the twenty-first century. 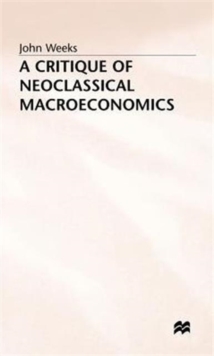 The book demonstrates that Marx's framework (1) demonstrates that capitalism is but one historical form of class society among many; (2) explains the transition from pre-capitalist to capitalist society; (3) reveals the concrete operation of a capitalist economy; and (4) shows why others would explain the capitalist economy in alternative theoretical frameworks. The central element in his framework from which all else derives is `the theory of value'. This book is not an exercise in the history of thought. It is an attempt to analyze the nature of contemporary capitalist society. While Marx's analysis of capitalism has implications for political action, these need not lead one to embrace revolution in place of reform, though it can and has provided the analytical foundation for both. Marx's analysis of capitalism is a coherent whole, and meaningful insights cannot be obtained by extracting elements from it. Weeks starts out by looking at the nature of capitalism and an analysis circulation, money and credit unfold from the theory of value. The nature and inherent necessity of competition are demonstrated in chapter eight. 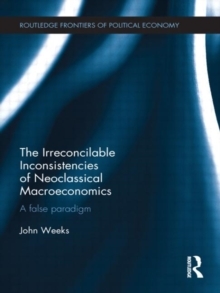 A consequence of competition, expressed in the movement of capital, is technical change, the contradictory impact of which is explained in chapter nine. 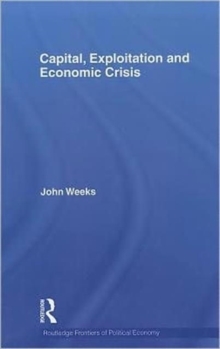 This is brought together with the other elements of value theory (money, credit and competition) in chapter ten, where economic crises are treated in detail. The final chapter applies the theory of crisis to the extreme financial disturbances of the 2000s. This book should be of interest to students and researchers of economics, politics and sociology.